UV damage and sun exposure, the hidden danger. While you may think your house, decks or concrete areas are safe with just a waterproof sealant, they aren’t. Harsh UV rays damage both wood, masonry and concrete surfaces over time. In areas with a long photo-period (length of sunshine per day) over the summer months, UV damage is accelerated. In order to protect your home and all the structures exposed to the sun on a daily basis, it’s essential to include UV light blocking additives in your polymer waterproofing sealants. UV radiation will damage paint as well, which also reduces the life-span of the structure underneath it. If your deck isn’t treated for UV rays you will see a rapid change in the color of the wood. The graying that occurs might look rustic and natural, unfortunately, what’s going on underneath that is far more than just color change. UV radiation actually damages wood fibers. This process renders them less resilient and more prone to cracking or sloughing off. If left long enough, UV radiation will cause board warping, cracking, and cupping. 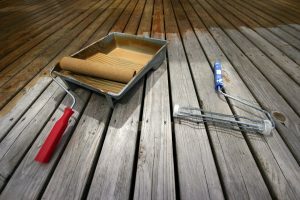 You can destroy an entire deck by not sealing it with both a waterproofing sealer and UV light sealer. Best practices in UV protection for wood surfaces. Be proactive. There are multiple high-quality sealants for wood with UV additives. When you are ready to find out more about a waterproofing system with UV protection built-in, please contact us. Concrete, masonry, stucco, and all forms of concrete surfaces will be damaged by UV rays. Although not as quickly as damage to wood structures. Most of us don’t even think of UV damage to concrete, we only consider it when talking about wood. Left untreated, concrete floors, walls, masonry, and stucco will suffer from UV radiation. The UV light breaks down polymers and other bond chains within the concrete itself, weakening them over time. Over the course of years, this will result in a fine dust or powder being apparent to the touch. It will also result in cracking or spalling radiating away from joins or seams. This weakens the structure significantly and paves the way for more serious damage in the future. Any pigments or colors in the concrete surface will also break down resulting in color- fading or a faded appearance. All the above-mentioned damage decreases the life-span of the structure, whether a concrete floor, wall or stucco finish. Best defense against UV damage to concrete surfaces. 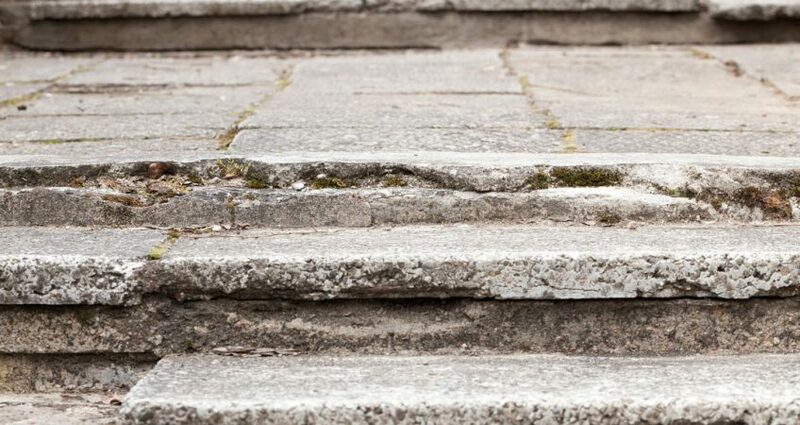 As with wood, your best defense is to be proactive with UV radiation damage to concrete. Sealants that specialize in blocking UV rays from damaging your cementitious structures are widely available. A reputable company like Pli-Dek has multiple sealers with varying degrees of UV protection built-in. Depending on your location and your needs a good UV ray blocking solution is available. They also have years of knowledge in manufacturing and applying these types of sealants, making them a great resource for getting information. When you are proactive in protecting your decks, floors, walls, and structures against water and UV damage, you will enjoy a longer life-span for all of them. That gives a very special peace of mind.